Print for You, Digital for a Friend! The holiday season is upon us and people everywhere are rushing about trying to get everything in order. 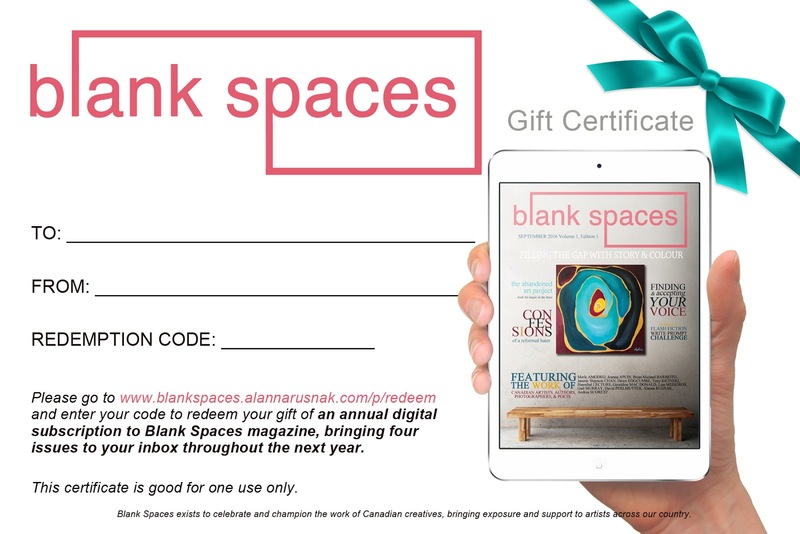 We at Blank Spaces want to lessen your burden just a little by offering you an easy gift idea that will delight any literary lover in your life—especially those hard-to-buy-for people like your child's teacher (because how many boxes of chocolates does one person really need?). 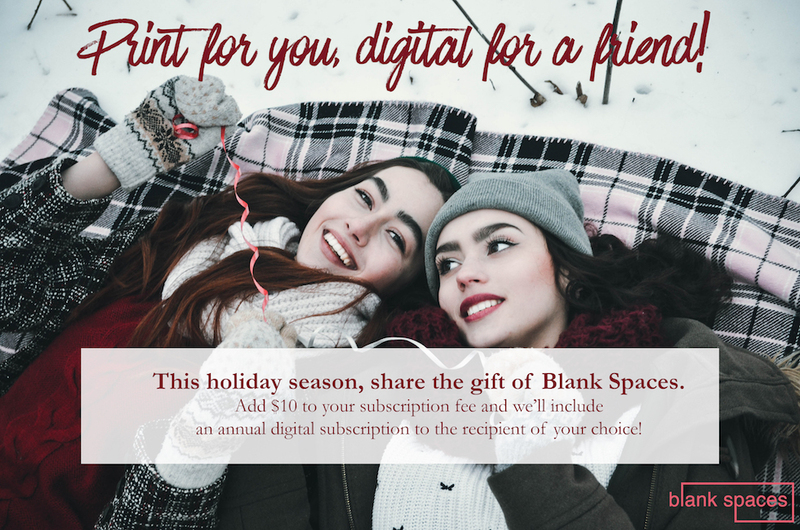 By adding just $10 to your annual subscription, we'll give you an additional digital subscription you can pass on to anyone you like! Don't have a subscription and aren't ready to commit yet? No problem! We're in a giving mood! Grab the $10 digital subscription anyway! Want to give yourself a gift? We're okay with that too! Want to buy 20 and hand them out at your office Christmas party? We're definitely okay with that! Once you've placed your order, we will send you a gift certificate* with a redemption code. Print this off and stick it in a Christmas card or stocking to bring some holiday cheer to the people around you.